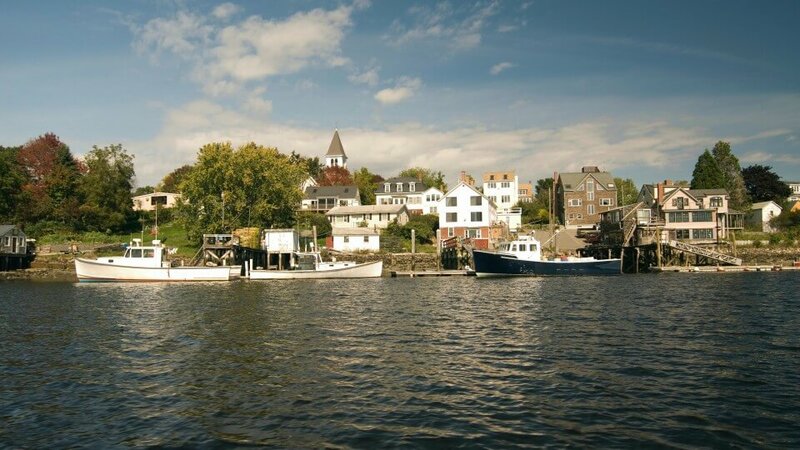 Located less than 15 miles away from York, Maine and Dockside Guest Quarters, there are an abundance of activities and things to do in Portsmouth, NH, that you simply can’t miss the next time you’re staying with us. Portsmouth and the New Hampshire Seacoast is full of rich history, and much of it has been well preserved. So, if you enjoy taking a look back into the past and learning more about what it was like to be an American in days gone by, then you owe it to yourself to explore Portsmouth for a while. The Music Hall at Portsmouth, NH, is located downtown within two different theaters. Make sure to keep up with their calendar as visiting is one of the best places to visit in Portsmouth. For a unique look into American history, head over to Strawbery Banke Museum. This museum is unlike any other with its exhibits that provide the guests with an opportunity to experience how Americans lived throughout four centuries of history. Head to the heart of downtown for many things to do and see in Portsmouth! From art galleries to ethnic restaurants, you’ll find it all in Market Square in Portsmouth, New Hampshire. Prescott Park is one of the many places to see in Portsmouth for the whole family. From the music and movies to the theater and special events, there is always something going on in this area of town. If you find yourself asking, “What is Portsmouth famous for?” you have to visit the USS Albacore Museum. As a town known as a century-long naval port, this submarine was used by the Navy to test experimental features now found on modern submarines. With all of the amazing Portsmouth things to do and see, make sure you stop by Discover Portsmouth to learn about this great city. Whether you’re looking for a local play or just want to be updated on town happenings, this is the place for you. Built in 1763, the Moffatt-Ladd House is one of America’s finest Georgian mansions. Make sure to visit this great piece of American history and see its beauty. This brewery was built to bring quality and fresh Redhook to its East Coast fans. The brewery’s pub, Cataqua Public House, was named after the Piscataqua River. Piscataqua can be translated to “a place where people come together, and where they part on their separate ways,” which is exactly the kind of setting you’ll experience. Beer lovers certainly need to include a visit to the Redhook Portsmouth Brewery & Cataqua Public House while poking around Portsmouth. The Seacoast Repertory Theatre produces creative, thoughtful and high-quality programming. They are committed to the local culture as well as collaborating with other similar organizations. Make sure you check their live theater schedule during your visit to Portsmouth. The Portsmouth Athenaeum, a non-profit membership library and museum that offers a rich history as it was incorporated in 1817. As one of the 20 remaining membership libraries, you’ll want to visit this rich piece of history. While on your visit, there’s no question you won’t be disappointed by the numerous restaurants in Portsmouth, New Hampshire, that will keep you satisfied for every meal of the day. Whether you’re a picky eater, or will never say no to an adventurous menu, you’re sure to find something to please everyone in your group around town. Lunch in Portsmouth, NH, is one of the best meals you can find, but enjoying a fantastic dinner is one of the best things to do in Portsmouth, New Hampshire, at night. The New Hampshire coast is riddled with gorgeous scenic views and Northeastern nuances. From the 1940s-style boardwalk at Hampton Beach to the iconic covered wagon at Wagon Hill Farm in Durham, many of the attractions are historic and memorable, offering an inside look into the past of the New Hampshire coast. Only 18 miles long, the coastline is great for scenic driving, biking, or even hiking, and all your must-see items are scattered along the way. Located in the Gulf of Maine just off the East Coast is a cluster known as the Isles of Shoals. These islands are rich in history and adventure, and ferries leaving from Portsmouth take advantage of this by offering guided tours to one of the main islands. Looking for some fun in New Hampshire on a hot summer day? Water Country of New Hampshire is the place to go! They offer more top attractions than any other water park in the area, with over 25-acres of attractions, rides for kids and adults, there is fun to be had for everyone. If you’re looking for fun things to do in Portsmouth with kids, look no further! Beyond this list, there is still a multitude of things to do around Portsmouth. From bike tours to art galleries you will find tons to do while visiting the area. Complete your visit by staying at Dockside Guest Quarters. Located in York Harbor, ME, you’ll get the city experience in Portsmouth, but be able to come home and relax on our serene property, making us an excellent alternative to Portsmouth hotels. From our onsite restaurant to breakfast delivered straight to your room, you are guaranteed to enjoy your stay with us. We look forward to hosting you and hearing all about your adventures in Portsmouth during your stay.